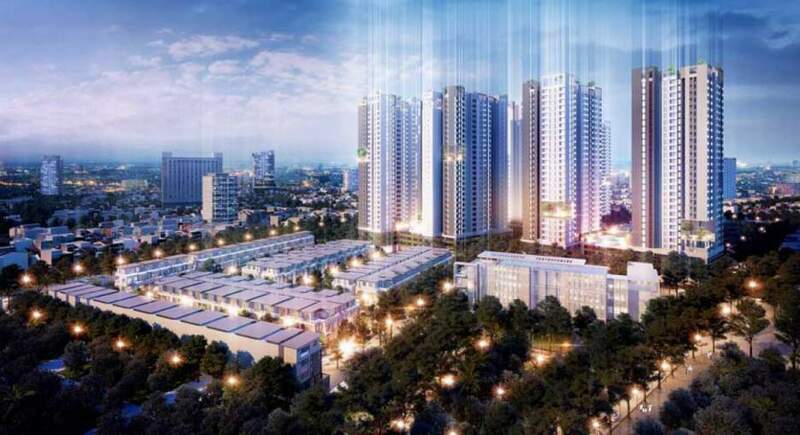 Ho Do Centrosa Garden apartment is located in the gold location in the front of 3/2 street, Ward 12, District 10, Ho Chi Minh City which is considered the only land left in the heart of the city, and fortunately, Ha Do investor owns it for a long time. Ha Do Centrosa District 10 has a scale of up to 7 hectares with various types of products such as 115 townhouses and duplex villas; The scale consists of 8 high-rise blocks. When the project is completed, it is expected to supply 2,187 apartments in the high-class segment. Up to now, it has sold low-rise apartments and townhouses built completely to the fourth floor. With the purpose of giving customers more choice, the investor has designed a lot of used area of the project which is suitable for financial ability of all customers. The apartments of the project include: 1-bedroom apartment (48 sqm – 52 sqm); 2-bedroom apartment (72 sqm – 83 sqm); 2-bedroom apartment and 1 multi-purpose room (83 sqm – 100 sqm); 3-bedroom apartment (114 sqm); 3-bedroom apartment and 1 multi-purpose room (123 sqm – 128 sqm); Duplex apartment (147 – 240 sqm). In addition to the variety of area and type of apartment, Ha Do Centrosa Garden project is very convenient for its residents when it is equipped with 4 entrances to the project, and located in three main streets: 3 /2 Street; Cao Thang Street and Cach Mang Thang 8 Street. Ha Do Centrosa Garden has invested high-class facilities include: coffee shop, gym, shopping centers, swimming pools for both adults and children, libraries, interior park; outdoor BBQ, community living area, etc. Each apartment is designed airy space to get natural light and the wind that makes the apartment cool, and full of light. The investor has equipped 7 elevators for 12 apartments per a floor. The investor has offered the price of high-class apartments ranging from 2,000 to 2,174 usd per sqm (VAT included in the area of the waterway). Besides, Ha Do Centrosa Garden project also has a flexible payment that customers pay 5% according to the progress of 2 months work. We will recognize its superiority when compared with the market and projects in the same segment. In every apartment Ha Do Centrosa Garden, it has the high standards of living that ensures the most modern and fulfilling life for everyone. Thus, there is no reason for the customers to refuse to be its resident. Centrosa Garden apartment is designed a green living space in the heart of crowded Saigon with greenery system, swimming pools, green vegetation intermingled with buildings and facilities in order to attract its customers. You can immerse yourself in nature or enjoy green architecture from your home’s glass door. Ha Do cooperate with Vietcom Bank offers 0% of the interest rate and a 24-month grace period. (VCB support 40% of the apartment value (VAT included) 0% of the interest rate, 24- month grace period. 5 24 months from the first drawdown, customers start paying principal and interest to VCB bank. (expected transfer) 25% Case 1: The customer completes the loan application. 40% payment + early repayment fee for VCB and payment of 25% and 2% maintenance fees for the investor. Case 2: The bank disburses 25% + 2% maintenance fee for the investor, the customer starts repaying principal and interest as regulated by the bank. 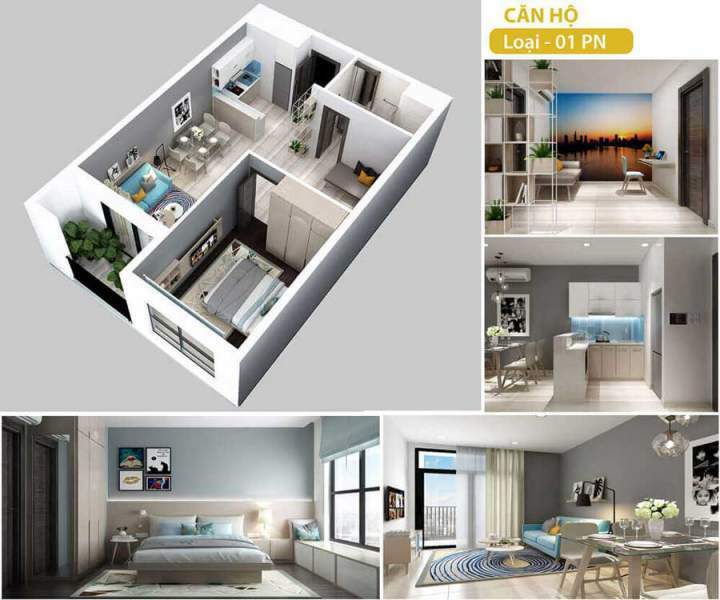 You are reading the article “The Variety Of Apartment Of The Ha Do Centrosa Project In District 10” in the Real Estate Market category at realestatevietnam.com.vn. Any information sharing, feedback please email to info@realestatevietnam.com.vn, Hotline 0909890897 (24/7).